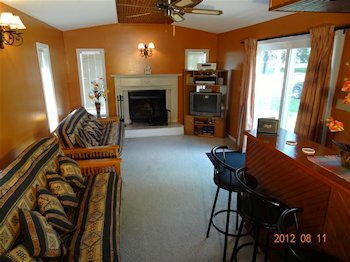 Stunning, fully equipped 3+ bedrooms, 1500 s.f. 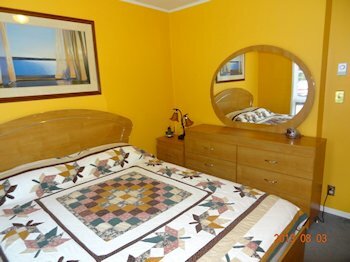 , year-round home/cottage which sleeps 10-12, situated only 1.5 hours from Toronto on the crystal clear waters of prestigious Balsam Lake in the Kawarthas. 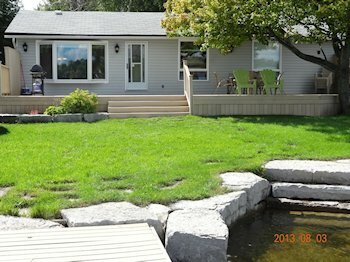 Beautifully landscaped rock frontage with stone patio at the water’s edge and built-in stairs into the pristine waters, where weed-free swimming extends from the shore which is about 3 inches deep, to the end of the large (8ft x 35ft) dock where it is about 5ft deep. 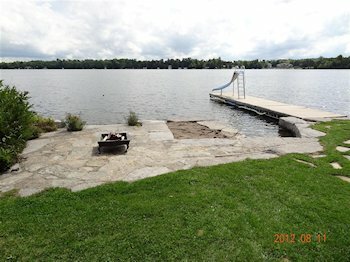 Also on the stone patio are a fire pit and kid’s sand pit. Large dock with water slide can accommodate at least two boats. Overlooking the fabulous lakefront view is a huge deck, ideal for entertaining, measuring 16 ft. x 46 ft. (736 s. f.) with patio furniture and propane BBQ. with 100 ft of prime, weed-free, sandy-bottomed swimming. Each suite is 1300 sq. ft. with 3 bedrooms. Sleeping 16-20 combined. 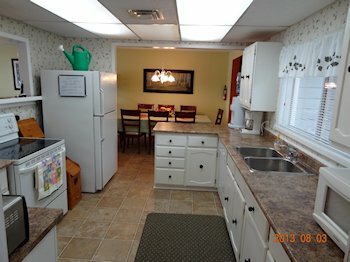 For more information, please visit www.balsamlakecottage.com.